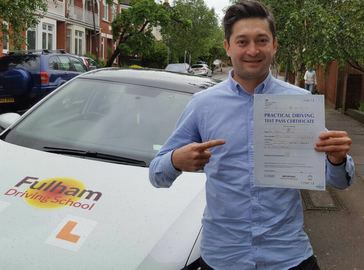 I would like to thank Fulham driving school and my fantastic instructor, Zoran for making life so much easier for me, when I was first booking my lessons all the way through to passing my test. Zoran is a great instructor very professional and helped me get through the whole process and made me feel comfortable behind the wheel from the very first lesson. 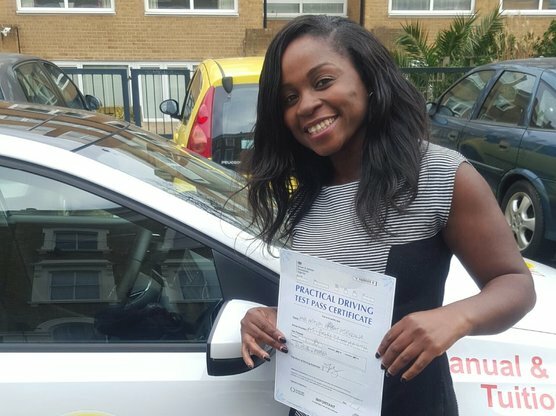 I would recommend Fulham driving school to anyone looking to start there lessons as they are so helpful and friendly and very cheap. Here is the testimonial - ‘Vinney is a fantastic driving instructor. He is kind and encouraging, but also incredibly rigorous. He is strict but fair! He is incredibly passionate about getting results and having faith in you even when you don't! I have passed my test, but also thanks to his guidance, I will be a safe and confident driver for life. I heartily recommend him and Fulham Driving School. 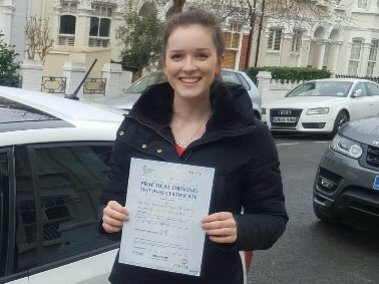 After spending four months with a different driving school and struggling to learn the basics, I decided to try a new instructor and had my first lesson with Graham at Fulham Driving School. In the first week alone I had learnt more than I had in the previous four months and had finally started to conquer my fear of driving. I must thank Graham for his patience and for the confidence he gave me on the road. Lesson's were never boring and he has a great knack at pushing you without too much pressure. I hope to continue to perfect all that Graham has taught me now that I am on the road alone! 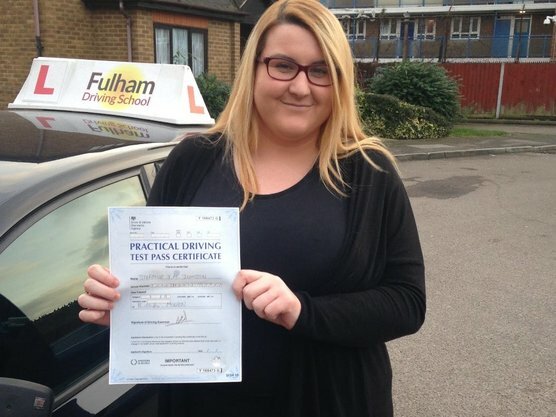 Fulham Driving School has” helped me get my driving license yesterday!!! It was my first attempt in Practice driving test and I got a pass! Zoran was my instructor and I would highly recommend him. He is courteous, polite and really helpful. Very patient, understanding and gave clear instruction. I am very happy for the way he trained me to drive safely and also get my licence. Thank You Fulham Driving School.....It was a wonderful experience indeed !!! I would like to thank Zoran, my instructor for giving me all knowledges about how to be a good driver. Not only to pass the driving test but to drive safely for the rest of my life. He was very kind and tolerant during my lessons with him. Whatever I did wrong on my driving practices, he tried to correct them accurately. He was also very punctual .You will not loose any minutes of the lesson. The price for a lesson is reasonable and the lesson's start times are flexible too. So, I would recommend Zoran and Fulham Driving School to my friends. 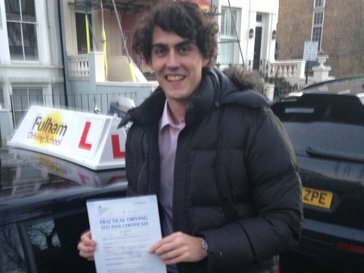 "To be very honest, I had no interest in driving and did not want to learn it, but I had to!Therefore I had my driving lessons with Boris.I could never find such a positive,calming,patient, devoted and relaxed instructor. His work ethic is amazing.He gave me so much confidence, I did not feel any tension while learning to drive..and...I passed my test on the first time!!!!!!!! Driving was not only about driving,but having a good laugh.I can say that I am already missing my driving lessons. Thank you Boris soooooo much! I wanted to take my driving licence so I could have a bit of independence but things got a bit complicated when my boss took the opportunity and asked me to take it as fast as possible so I could use it at work. I was under a lot of pressure so when I first sat on that car I was absolutly terrified and I wasted a lot of lessons being scared.Vinney really had to put up with me and helped me to put my fears and negativity behind me. He believed in me and although there were some up and downs he was always really possitive about my capacity to drive.From the beggining he claim to be strict and surely he is but all of it was really worthy at the end as I passed my test in my first try! I feel happy I didn't give up and keep pushing myself harder and I'm glad he didn't give up on me too! I dont want to forget to mention lovely recepcionist Lisa who was also really helpful and patience with me. From this experience I didnt only get my driving licence but also a frienship. 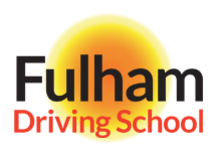 I definetly will recomend Fulham Driving School for their proffesionalism,patience and that feeling of friendship. Thank you all and definetly would chose you again! ‘’I would like to take this opportunity to thank Vinney probably the best driving instructor I ever had. His teaching method is of the highest standard not only he will teach how to pass your a driving test but also will make you a safer driver for life. He is a very good driving instructor and also a good man. He is very strict but fair. He will know when you need to relax and when you have to work hard. Great personality and committed to his work. 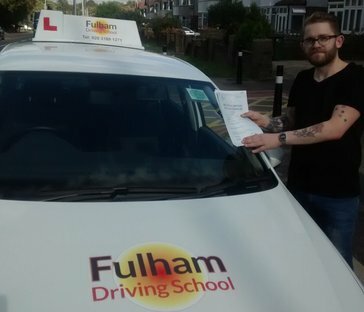 I would definitely recommend Fulham Driving School to everyone and especially Vinney. 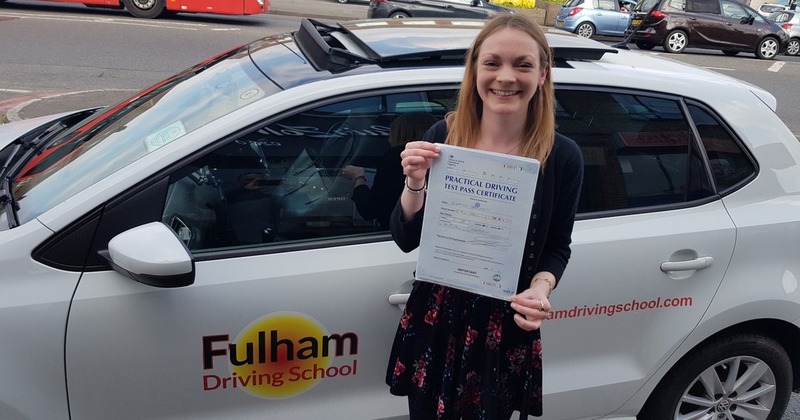 I started learning with Fulham driving school earlier this year with no previous driving experience the school was easy to contact and fairly priced and never forced me into taking lessons and always gave the choice to continue if was happy. My instructor Zoran was a very friendly, contentious and patient instructor With his well structured and individually tailored lessons, I passed my driving test on the first go. Zoran is easy to talk to and an excellent instructor and I highly recommend him regardless of what level you are at. 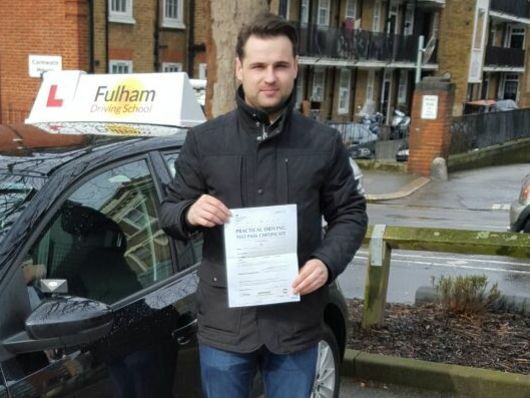 5* thanks for all your help Fulham driving school and Zoran. I just wanted to take the time to write to you and thank you for all of your help, teaching and direction over the last month. 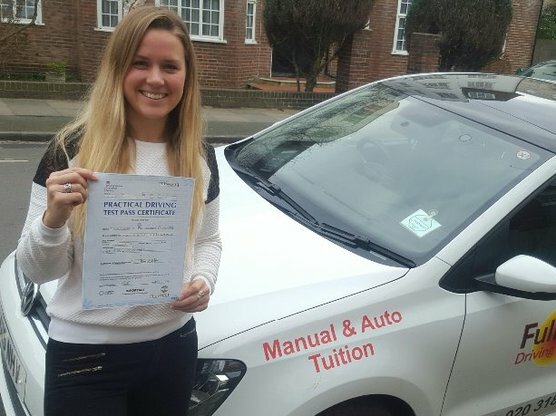 When I had initially approached Fulham Driving School after initially using another driving school, I had similar expectations. You really did go above and beyond what I could have asked of you by adapting to my schedule and my desire to get my license as quick as possible. It’s a credit to your teaching that I was able to pass on my first try with 20 hours of teaching. I cannot thank you enough for all of your help and will miss our conversations about football and the referendum! I wish you all the best and will happily mention your name to anyone who is in need of a brilliant instructor. 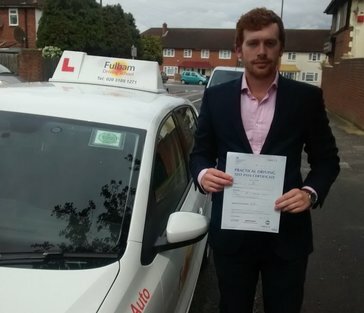 "Vinney was a good instructor to have and managed to help me pass first time. It took a while and although there were highs and lows, I'm glad that I pursued with it and completed it with him. He's a lovely guy, very supportive, tough but fair and I'm sure he'll pass a lot of learners in the future!" "I would like to take the opportunity to thank you for being my driving instructor!! I learned a lot and you madwe my driving enjoyable as I safely passed the driving test with distinguished marks!!! I consider you as a extraordinary individual, very knowledgeable and professions in your industry!! In the future I would not be hesitating to recommending you to the other people!!" "Vinney' as he's known to his students, is the best driving instructor ever. From day one he instilled confidence, patience and safety in me and supported me through a fastrack program. I passed my test first time within 5 weeks of my first lesson with him and cannot thank him enough. I'd recommend him with great enthusiasm to anyone learning to drive. Thank you Vinney and Fulham Driving School!" "I am so grateful to Vinney for his wonderful guidance in teaching me to drive. His gentle and fun personality put me at ease in the car and made the daunting task of learning to drive thoroughly enjoyable. He ensured that I was pushing myself in every lesson, so that in a short space of time I started to feel really confident in my driving ability. His teaching method is faultless, drilling in from my first lesson the importance of safe driving. Even better, at the start and end of each lesson I had a chance to discuss with him my personal apprehensions and where I felt least confident, which he then used to tailor my lessons to ensure I was getting as much practice as possible in those areas. Vinney’s focus isn’t only on passing the test – he focuses on getting you to a stage where you drive to a consistently safe standard and where you feel confident driving independently. I would highly recommend Vinney to anybody – guaranteed success with the added bonus of great conversation and lessons which are actually fun!" 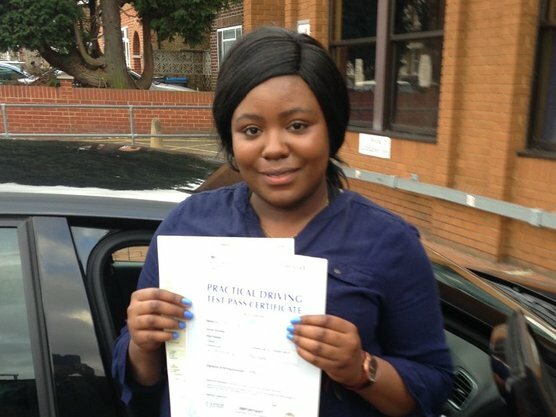 "I was so nervous about taking driving lessons and I was under a lot of pressure because I only had a few weeks to pass my driving test. From the very first day I met Vinney I knew I was going to achieve my goal. He calmed my nerves by sharing stories of other student that passed in a shorter time than I had.Wha t I loved mostly about my lessons were the feedback I got after each lesson. Vinney's teaching style was amazing, he showed me diagrams when necessary and was always positive when I made silly mistakes. Reassurance goes a long way. I can't believe I passed my test in a short space of time. I must admit, I don't get along with people easily but I clicked with Vinney instantly. He has a stupendous sense of humour. I looked forward to every lesson and the driving tips he gave me were priceless. In a nutshell, I am not only grateful that Vinney helped me pass my driving test, I am more grateful that he has taught me to be a safe driver for life." 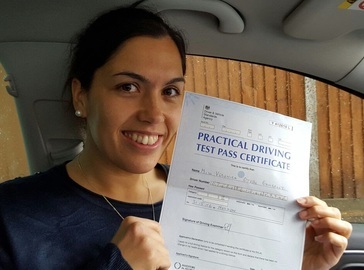 "I want to thank you once again for your excellent instruction and expertise throughout my driving lessons. You've been extremely patient and understanding throughout, helping me pass my test first time. I have enjoyed working alongside you and I will be recommending you to anybody who is looking for an instructor." 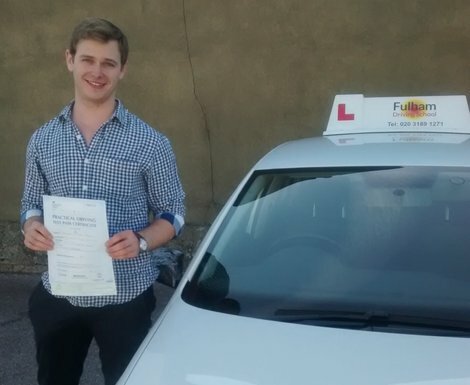 "Thank you so much for the confidence and knowledge you have given me when driving. I honestly didn’t think driving was going to be for me but you made it seem really easy and I can’t thank you enough for that. I’m definitely going to recommend you to all my friends and family who are learning to drive and spread the word around The Priory! Thank you again."